This past Dreamforce conference I saw that there was a session being led by Hadi Patrovi. I was intrigued as my former company, Qloud, competed directly with the company iLike were Patrovi was CEO. We talked once briefly about merging the two companies, but ultimately nothing became of it. We sold to BuzzMedia for $8million and they sold to MySpace for $16m. Both products were then quickly shut down. Oh well, it’s all water under the bridge. So, i wanted to see what Hadi was up to. Man was I in for a treat. Hadi is the founder of Code.org which is doing some remarkable stuff. 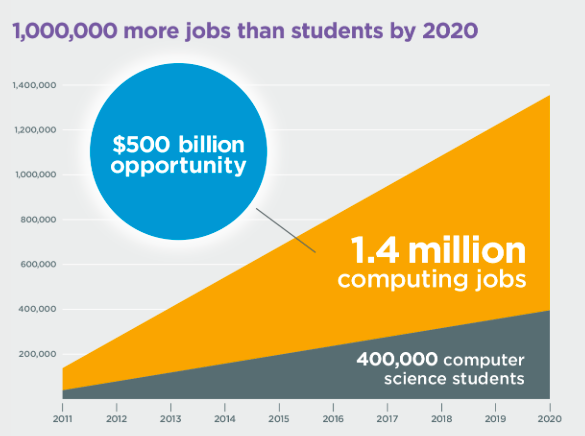 Code.org is a non-profit dedicated to expanding participation in computer science by making it available in more schools. 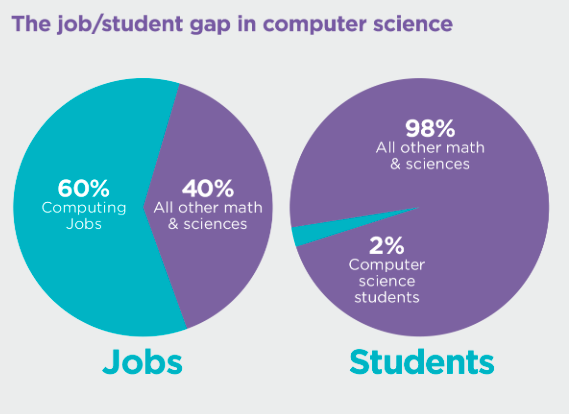 Their vision is that every student in every school should have the opportunity to learn computer science and it should be part of the core curriculum in education, alongside other science, technology, engineering, and mathematics courses, such as biology, physics, chemistry and algebra. I totally agree. At Kapost we are constantly on the lookout for great engineers. Always. We don’t close those job recs. We are always looking. This is important because in the USA the number of people qualified for the jobs (demand) far outweighs the supply. Programming jobs are growing at 2X the national average. But, we also have an unemployment problem and we’re not doing anything to address these two things. Even worse, in college only 2.4% of college students are graduating with a Computer Science degree – and that number is SHRINKING. In high school it’s also lame as 9 out of 10 high schools don’t even offer a programming class and in 25 of the 50 states computer science can’t count towards a high school graduation math or science requirements. 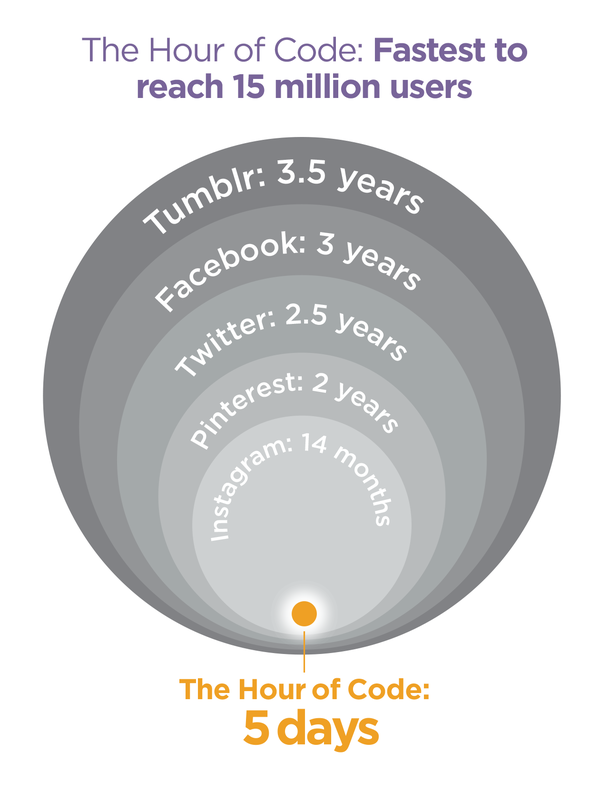 Became the fastest website in the world to get to 15 million users. I’m really happy for the start that it’s received and I think it’s a great cause for us to tackle in America as we prepare for the future. Personally, I had zero exposure to programming in high school. I took an intro class in college and loved it. That led to another class and before I knew it i was majoring in CS. That led to a career in technology and I couldn’t be happier. It’d be a shame if others couldn’t get that chance.